When you travel to Brussels with business, you are often rushing from meeting to meeting, grabbing a meal between them. It can be draining, and you feel like you want to relax but it never seems easy to do away from home. The good news is there are lots of great ways to relax while in Brussels and here are a few ideas. 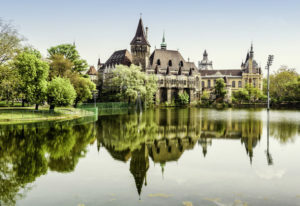 Every city has them – those best kept secrets that all the locals know about. But often don’t make it to the big tourist guides. These can be places to go and relax or even meet up with a luxury Companion to enjoy some non-work related chat over a meal or a few drinks. The Royal Library of Belgium Café is one such spot. Located in Mont des Arts, the café is one of the calmest spots in the city and has a rooftop cafeteria that is a great place for a coffee break. A change of pace and has great views across the Grand Place. There’s a lift up to the 5th floor and on a sunny day, you can see as far as Koekelberg Hill. 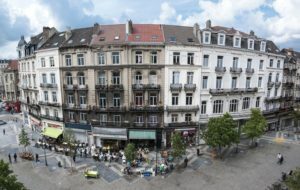 Place des Martyrs is within touching distance of the busiest shopping street in Brussels. Rue Neuve and is the perfect place to enjoy a little calm and quiet. Dotted with wooden benches, it is surrounded by beautiful whitewashed buildings. And has a monument that honours the 466 rebels who died in the revolution that secured Belgium’s independence. Brussels is a city with a lot of parks spread around it and these are ideal to get away from it all for a while. One of the most popular is opposite the Royal Palace and despite its location, it never feels busy or full. Take a book or meet someone for a coffee on a sunny day and there’s no better place to relax. If you have a little more time, the Botanical Gardens is near the city centre and is a great place to visit as well as somewhere to go to relax. There are lots of hidden corners and special displays to discover. Enjoy as well as places to just sit back and enjoy the flowers. Park Egmont is one of the loveliest parks in the city and is now open on three sides but is still a quiet green haven. You can see the summerhouse L’Orangerie du Parc d’Egmont. Also see one of only seven Peter Pan statues that exist in the world. It is also near Avenue Louise with its shops so ideal for a break in a shopping trip. If you find yourself in the Saint Gilles area. Park Paulus was once the private garden of Pelgrims House, a neo-Flemish Renaissance and Art Deco masterpiece built in 1905. The park is now open to the public and is a great place to visit for some quiet 0 there is a pond. The cottage and even a playground that isn’t often used. Another spot just away from the main areas, in the Sablon neighbourhood, in this case, is Impasse Saint-Jacques. This is an alleyway where you can glimpse the city’s past with its art galleries and high-end boutiques. Follow it to reach the inner square surrounded by old red brick houses. An ideal place for a moment away from it all. Ixelles Cemetery is in one of the trendiest areas of the city. But is the place to go to get away from the buzz for a while. The cemetery is the largest and oldest in the city and includes the tombs of Victor Horta. The architect, Frederic Neuhaus who invented praline chocolate and surrealist artist Marcel Broodthaers.